This famous mage is the Kirin Tor's leader in Dalaran and also the husband of Vereena Windrunner, sister to Sylvanas. He ran into trouble with his reckless use of magic but has since regained his former glory. Rhonin was instrumental in the release of Alexstrasza from the Dragonmaw orcs. 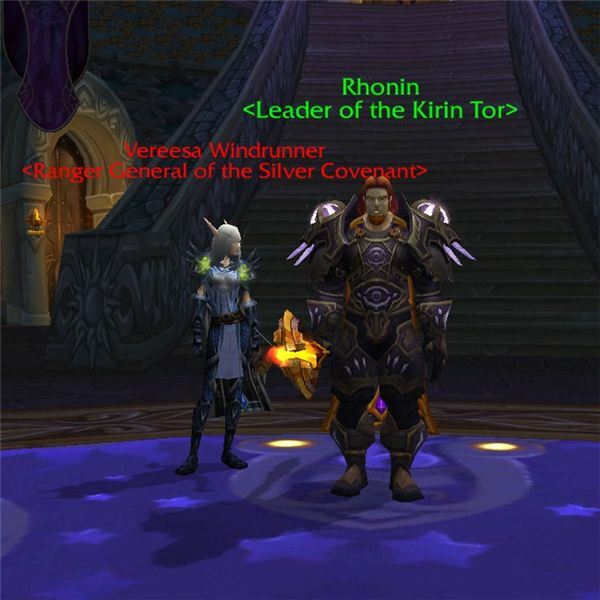 Rhonin currently resides in Dalaran and offers the "Trouble at Wyrmrest" quest, where he sends players to the temple in Dragonblight to receive instruction from his old dragon friend, Krasus. Krasus then sends raiders into the Ruby Sanctum. Upon reaching level 80, players will receive in-game mail from Rhonin with a selection of potions and his congratulations. The archmage Arugal is the center of a rather epic, albeit low-level, quest line for Horde players in Silverpine Forest. As a wizard and former member of the Kirin Tor, Arugal summoned other-worldly beings to help fight the Necomancers in Dalaran, unknowingly causing the Worgen to also be summoned into Azeroth. 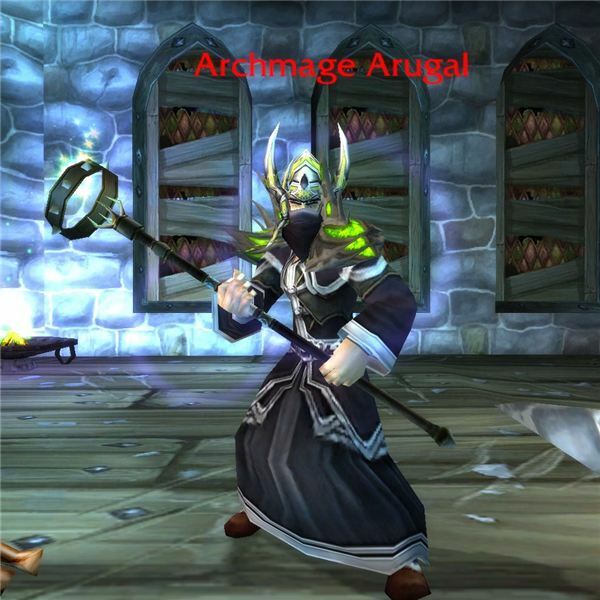 In trying to save his fellow Kirin Tor mages, Arugal's magical work led to their deaths. The archmage fled in guilt and shame to Shadowfang Keep, high in the hills of Silverpine Forest. There he welcomed the Worgen and treated them as his children. 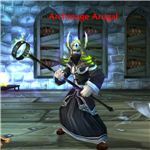 Following his beheading at the hands of Horde players, Arugal was raised from the dead on the orders of the Lich King. He was then sent to Grizzly Hills in Northrend to subvert communities of humans into Worgen. He is to be replaced by Lord Vincent Godfrey in Shadowfang Keep. 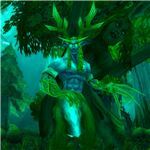 Cenarius, who is actually a demi-god, is known as the Supreme Druid. The son of the goddess, Elune, and the White Stag, Malorne, Cenarius fathered a number of "Keepers," the dryads, and indirectly fathered the Centaur races. He is closely associated with the race of the Night Elves and taught them the ways of the forests. Mannoroth connived Grom Hellscream to drink the corrupted blood, after which he slew Cenarius. This act caused the Night Elves to swear their hatred for all Orcs. They now believe that Cenarius is healing his wounds while in the Emerald Dream, and that he will return to them one day. 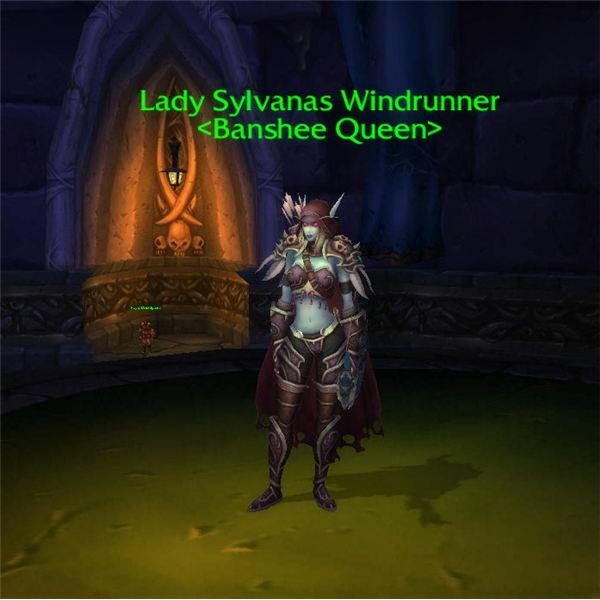 The middle of the Windrunner sisters, Sylvanas is known as the Queen of the Forsaken. She was formerly the Ranger-General of Silvermoon, but was killed and then resurrected as an undead by Arthas. 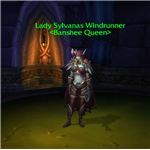 She was able to break free of his control and the Scourge and now resides in the Undercity, leading the Forsaken as allies to the Horde after convincing Thrall to accept them. Sylvanas's demon associate, Varimathras, broke free from alliance with her and claimed the Undercity, nearly killing her in the process. She fled to Orgrimmar and enlisted Thrall's aid in a counterattack, and together they were able to defeat the demon forces before the Alliance decided to take matters into their own hands. Sylvanas now leads adventures to Arthas's Frozen Throne in Icecrown, hoping to end his existence and satisfy her thirst for revenge. Her position within the Horde is tenuous at best, and she continues to defy orders to cease the production of the plague as a method for battling the Scourge. 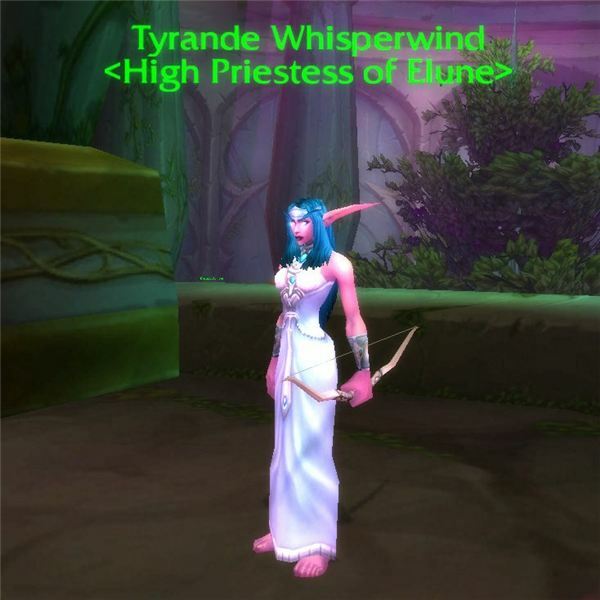 Tyrande is the High Priestess of Elune and currently leads the Night Elf faction from within the Temple of the Moon in Darnassus. She grew up, and was involved in a love triangle, with the Stormrage twins: Malfurion and Illidan. Tyrande battled mightily against the Burning Legion and the Highborne followers of Azshara, and is closely tied to the lands of Ashenvale and Mount Hyjal. Although Tyrande remains loyal to her chosen partner, Malfurion, she defied him by releasing his twin Illidan from his prison in order to use his magic against their enemies. Unfortunately, Illidan's plan involved his own transformation into a demon, and Tyrande did not challenge Malfurion's decision to banish his brother from the forests. 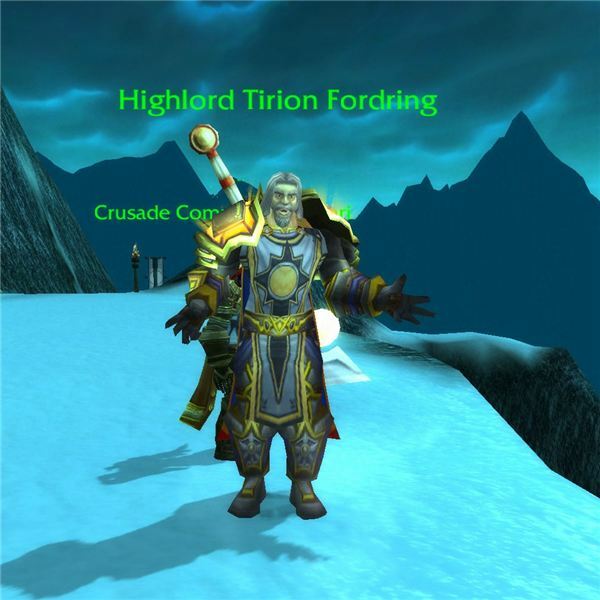 Tirion Fordring was a hero of the Second War and heavily involved with the Knights of the Silver Hand. His defense of the Orc, Eitrigg, who saved his life, caused his expulsion from the order. However, this act also forged a bond between Tirion and Thrall, the Horde Warchief. He now leads the Argent Crusade, an order combined of the Argent Dawn and the Silver Hand, in Northrend against the Scourge forces of the Lich King, and is featured in the quest lines of beginning Death Knights and players in Northrend. Tirion is an example of a hero who is not bound by racial biases and remains loyal to those of honor, regardless of faction. 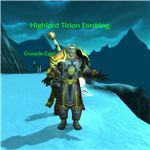 Tirion is also instrumental in the fall of Arthas Menethil as the most recent Lich King. From best female costumes to top heroes and Easter eggs, this series covers some of the best of World of Warcraft.